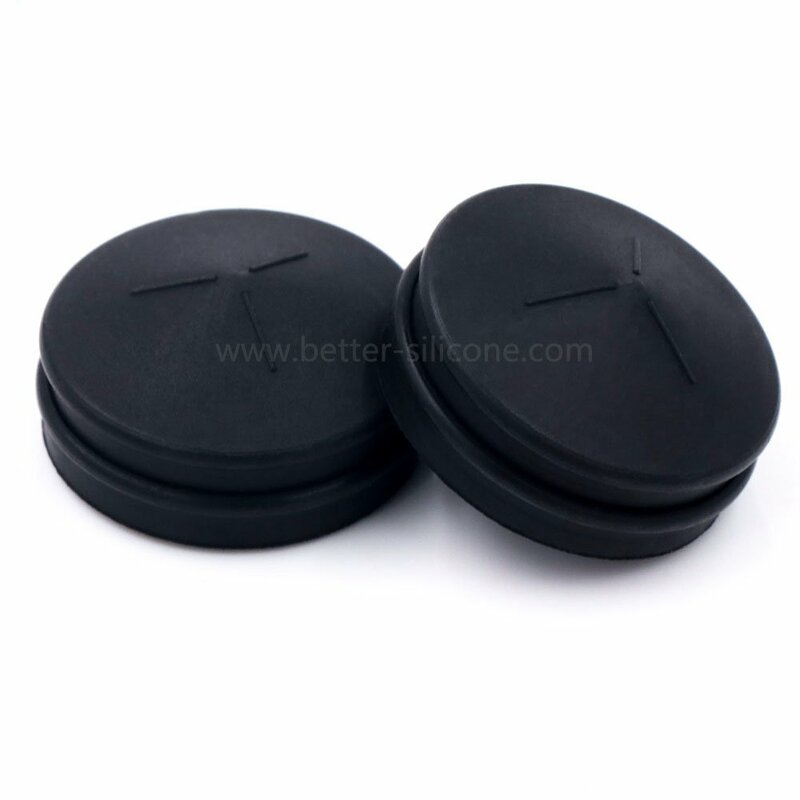 EPDM Gasket, also known as EPDM Rubber Gasket, EPDM Seal and EPDM Washers, is made of EPDM compound material(commonly black color), which has superior resistance to Ozone,water and steam making it the best choice for long term UV exposure and outdoor sealing applications. 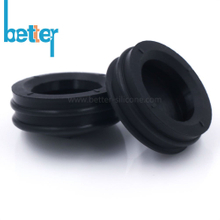 EPDM Seal is usually manufactured by compression molding, rubber injection molding and die cut tool. 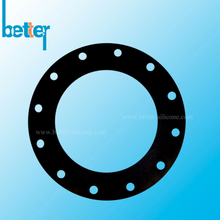 EPDM Gasket has good physical properties,excellent anti-oxidation,anti-ozone , anti-erosion and vulcanization. EPDM rubber gasket also has low desity and highly filling property, so EPDM sealing gasket usually is made into low-cost rubber compunds. 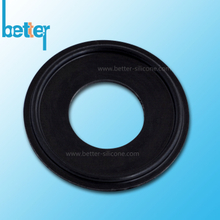 EPDM washer has good resistance to heat,light,oxygen; EPDM O ring has low water absorption and good insulation,so EPDM rubber seal can be widely used for auto parts, waterproof materials for building industry, wire & cable sleeve, heat-resistant rubber tube, rubber belt, automobile sealing and gaskets,etc. 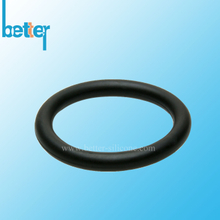 EPDM seals generally work in -55~150℃,which has good resistance to weather, ozone,water, chemicals, and can be used for alcoholic & carbonylic components, sealings under high temperature steam environment,bathroom equipment,autoradiator & braking systems. Commercial blend EPDM is the most economical EPDM offered for applications facing intermittent tempurature, which is used in applications like airplane hangar door weather seals. The flexibility in extreme temperatures is a characteristic that makes it the best choice for exterior sealing applications. High Grade EPDM is usually applied in where a higher performance is required, which give it a wide range of applications. High Grade EPDM's main property is its excellence to resist weathering, heat and ozone effects, hence its regular usage for roofing, seals and other outdoor applications. Peroxides improve the heat stability, the modulus, the aging and the compression set of compounds. Peroxide cured EPDM is resistant to alcohols, engine coolants, hot water, ketones, organic and inorganic acids, steam. long term UV exposure and food contact applications, which is compliant to the Code of Federal Regulations 21CFR177.2600. 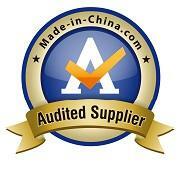 FDA EPDM is resistant to cleaning chemicals and offers long service life. 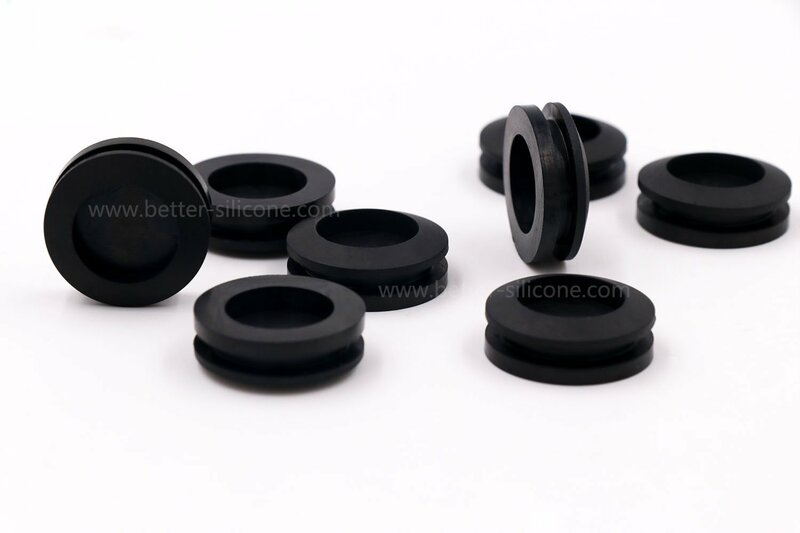 Xiamen Better Silicone Co.,Ltd, only can make rubber compression and injection moulding and produce all kinds of high qualified EPDM rubber sealing gaskets & o rings & washers for many industries, but also can produce other different rubber materials like: food grade MVQ, Medical Grade Liquid Silicone Rubber & LSR, NBR, CR,NR, SBR, IIR sealing gasket, O Rings, Washers & sheets.